Cambium Networks’ ePMP product line has set the standard for high performance, scalability and reliability in harsh interference environments all at a compelling price. 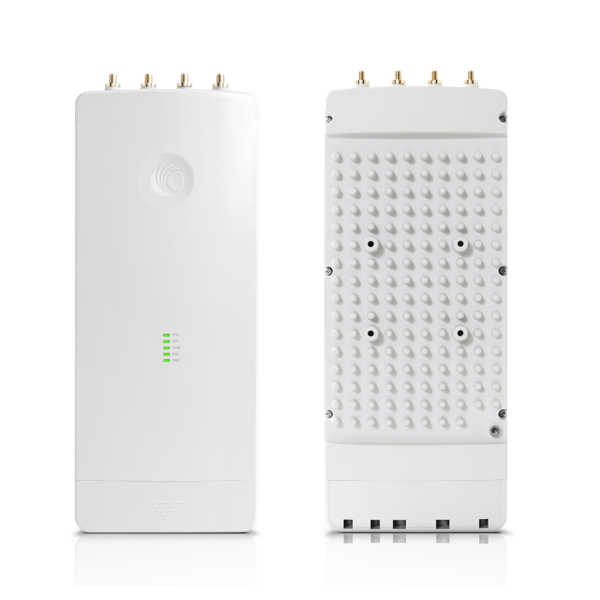 The ePMP 3000 is the third generation access point (AP) that carries on the interference tolerance mechanisms from ePMP 2000 but adds the power of Multi-User MIMO (MU-MIMO). 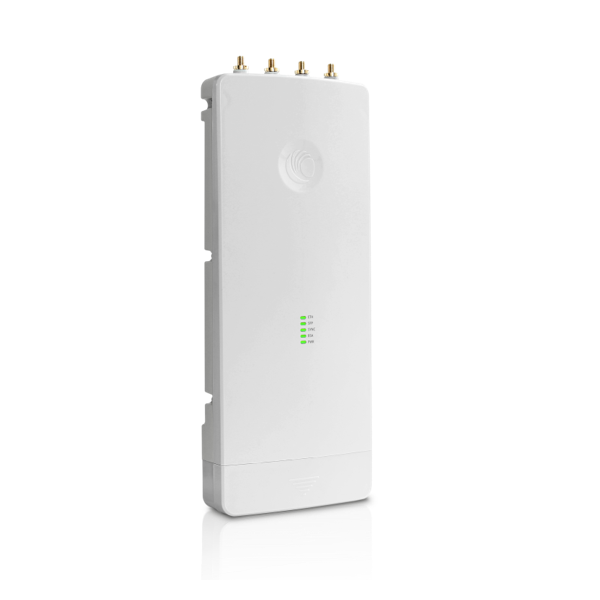 The ePMP 3000 is a 4X4 MU-MIMO access point that can double the throughput at the sector level with the same channel bandwidth by serving two subscribers at the same time. In addition, the ePMP 3000 continues interference mitigation techniques with support of the beam steering antenna for uplink, dynamic filtering for neighboring channel interference, and the robust software from the ePMP product line. The ePMP 3000 AP system consists of the ePMP 3000 AP, a 4X4 sector antenna, optional beam steering antenna and a 25 dBi and 16 dBi subscriber modules. The ePMP 3000 system boasts high packet per second performance, peak throughput of 1.2 Gbps and supporting subscriber modules with 600 Mbps of peak throughput. Frequency Reuse: Supports GPS synchronization and SM Transmit power control to allow for frequency re-use. Unmatched Performance and Scalability: With the efficient Cambium Networks MAC protocol and advanced air-fairness scheduler up to 120 simultaneously active subscriber modules can be served without performance degradation. Industry-Leading Interference Tolerance: The intelligent filtering capability on the receive side makes the ePMP 2000 immune to the effects of strong off-channel interferers and on the transmit side serves to reduce off-channel noise for better radio co-location. Industry-Leading Spectral Efficiency: MU-MIMO in the downlink doubles the sector capacity by serving two MIMO users at the same time.